When writing there’s always a sense of “let’s see where this takes me”. At the same time, however, there are also lighthouses that we tack towards across the dark and choppy waters of unwritten fiction. In many cases, these are signal moments, revelations, scenes, scraps of dialogue or even just a certain mis en scene. In many cases, we find these moments unbearably cool (insert own positive adjective as appropriate) and find ourselves consciously or unconsciously building up to these signal moments, indeed hinging a lot of our personal excitement and creative fulfillment in scaling these peaks of narrative,removing the facemask at the summit and looking down magnanimously on the unbearable coolness of our own cleverness. 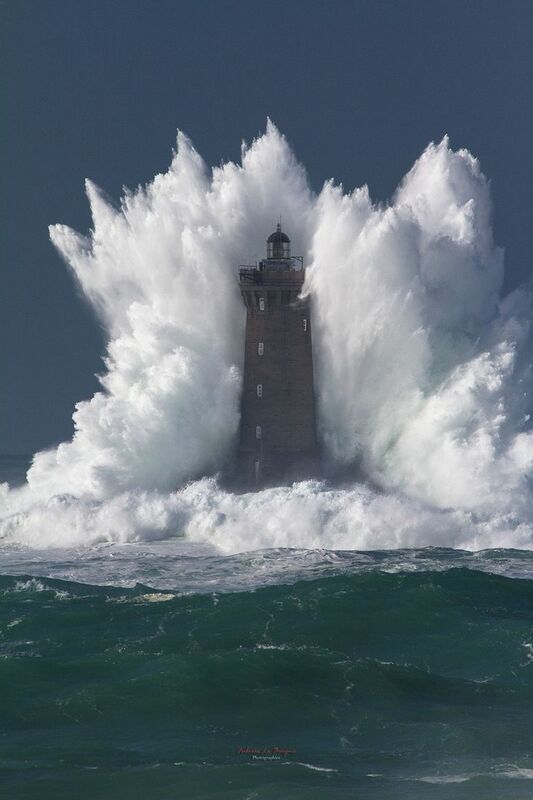 Sometimes, however, we find ourselves either too far away to sail directly to these moments of cool or (worse) we find treacherous rocks at the base of the lighthouse. The problems of beautiful absence and the problem of ugly presence present their own challenges. If a particular scene just does not fit in the narrative as you’ve constructed it, you certainly can warp the existing superstructure to lead readers to it. This is both a lot of work as well as something that risks ruining a lot of your good plotting work to date. You may also find issues leading away from that scene, which seemed so much more self-contained and free of plot-complicating elements in your head. The second problem is perhaps worse, where despite being the logical point to which you’ve been carefully plotting up to, and despite its obvious immense coolness, it just doesn’t work. The reason this came up is one of my enduring fan obsessions, Doctor Who. As an old and venerable program going back over 50 years, it has had a massive variety of script editors, writers and show runners, each of which have had their own preferences, themes and creative hobby horses. The incumbent, Steven Moffatt is a somewhat divisive figure. Like me, he was a Doctor Who fan from a very young age. Like me, he also wrote relatively well-regarded fan fiction. Unlike me, however, he is now the creative controller of one of SF/F’s most influential and enduring intellectual properties. Now I’m perhaps being a bit harsh, which perhaps betrays my own history as a fan who is emotionally invested in the series. Which is my point. If you don’t have a degree of perspective on your own work, if you can’t take a step back and ask yourself whether the lighthouse – which you’ve been dreaming of ever since you pushed off from shore – is worth landing at, you run the risk of asking everyone else to participate in your personal exultation at your own cleverness. I encountered this in my first draft. Ever since I laid down the basic building blocks, I had a very film-like image of the primary character’s love interest being stabbed in the middle of a crowd in a snowy square, the protagonist losing track of her for a second, the crowd clearing to show her bleeding her last on the ground, with the hero running over to cradle her in his arms as she died. This scene worked for me so viscerally that I built a fair amount of my story towards it. But once it was written it… I… well I realised it was a lot smaller and less impressive close up than it was when I’d imagined it. Primarily, it’s a stereotypical example of Women In Refrigerators, which is where a love interest (most commonly a woman) is brutally killed in order to provide the protagonist for a motivation to go fight the bad guys. It treats a character as a disposable plot coupon, or as a piece of character development for the villain (one prominent example is the climax of the film Se7en). This is wrong on its own terms, but what was worse is that during the writing… I’d really begun to LIKE the character to the point she was no longer “The Love Interest” but her own motivated character. To waste the potential of that character was just… silly. A fellow author suggested I have her seriously wounded to provide basically the same model, but with a lot less permanence. I considered this for a while, but realised it still had a lot of the same drawbacks, including having something pretty horrible happen to an interesting character for a pretty marginal advancement in the plot. That was the other part of it, that the scene actually DIDN’T DO MUCH. It was dramatically unnecessary, resolved nothing and set precious little up. It was, in architectural terms, a Folly. The other option was to kill the scene. Kill it stone dead. Erase it from my outline and find another way to get the characters from point 98 to point 100. Now this creates practical problems, obviously, as well as dramatic problems in that I’ve removed an emotional tentpole from the arc of the novel, leaving me scrambling for things like pace, maintaining reader involvement as well as giving me a new pinnacle to keep my eye on whilst trudging my way through work, children and the tiny morsels of time I can spend on my second draft. But it was absolutely necessary. Unlike Steven Moffatt I think the story itself is actually more important than the whiz-bang moment of visual and emotional flair and have the confidence that I can actually write a better book without that one moment of pyrotechnics. To eschew those big flashy moments for no reason other than that they ARE big flashy moments would be stupid, however. In the context of a story, that moment can be what everyone remembers, that passage is what lives in the mind long after the book has been put down or the TV switched off. That one soaring ambitious piece of writing craft that still thrills you to remember. And yes. That was Moffatt, as much as what came before was. It is the making of his or her own mind the writer engages in, which is why the process of writing can be so painful, building out of debris and found objects something contingent, and why every work of fiction verges on collapse. The work of imaginative prose you may be offered to read is the ruins of someone’s imagination, a heap of flotsam, of bones, of weird animal sounds snatched up and glued together any which way, stuck together as though they could make sense, like a song played backwards in which you think you can hear a secret message encased in a random collation of syllables. Have recently been re-reading an old favourite, Harry Harrison‘s To the Stars Trilogy. Best known for tongue-in-cheek sci-fi parodies like, The Stainless Steel Rat or (best name ever) Star Smashers of the Galaxy Rangers, Harrison also did some “harder” sci-fi. In speculative fiction, how closely a work’s imagined world corresponds with real world science varies greatly. On one end you have Star Wars or Doctor Who, in which the laws of physics are there to be broken as the plot requires. At the other end are authors such as William Gibson (of whom more later) and Jules Verne, who worked with the technologies available to them and try to logically extrapolate what it would look like within 5, 10, 20 or a hundred years. Whether speculative fiction is “hard” or “soft” is one of those ongoing matters of preference in speculative writing. Margaret Atwood‘s famous cleaving of stories into “what is possible today” and “what is not possible today” (in conjunction with LeGuin) is at once useful and unhelpful. To be clear, there is nothing inherently right or wrong, more worthy or less worthy about either end of the spectrum. Worthy but dull epics containing scientifically up-to-the-minute renderings of life can be far lesser works that deeply resonating stories set in a universe where “a wizard did it” can be applied in lieu of almost any effect. Harrison’s world is very much based on a logical extrapolation of cutting edge late 70s science, which is usefully related by the protagonist, an electrical engineer. The one really obvious cheat is FTL interstellar travel*, which allows one of the books to be set on a (well constructed) alien world. Apart from this, Harrison obviously did his homework and made an educated guess as to what sort of world science and technology would bring. Whilst some concepts have already been leapfrogged (an amazing lighter-sized memory storage device holding SIXTY FOUR KILOBYTES, a GPS unit SMALL ENOUGH TO HOLD IN YOUR HAND), much of his writing about the electronic surveillance state spookily resembles the concerns and debates of today. He does, however, envision that this could only be brought in by a closed dictatorship state, rather than by democratic governments, with tacit public approval. Later in the series, he delves into space combat, in which not a single laser cannon is visible, and salvoes of fire take long, long minutes to resolve across the vast distance of space. This gives the sequences a grounded sense of reality, and therefore, immersion. The situation feels real, rather than just having the trappings of realism as a means to move the events of the plot along. For my own work, my setting is erring towards the realistic. Reworking an earlier draft, I have no laser guns or teleporters, no wisecracking robots or benevolent Artificial Intelligences. Also, there are no intelligent life forms other than humans (yet). Where I have included fantastic technology, I’ve tried to at least partially root it in something that exists in science as it stands today. This will unfortunately require me to read up on quantum mechanics at some point in the medium-term future. The Japanese had already forgotten more neurosurgery than the Chinese had ever known. For Gibson, writing in the early 80s, the idea of China ever moving ahead of the Japanese Behemoth then taking thunderous steps across the world of high technology would have seemed like the most laughable fantasy. Not quite as ridiculous today, with China the rising power and Japan the defensive former giant struggling to keep their place. The disconnect between what we view the present as and what we think should “the future” is a factor in how immersive that world will be to the reader. If men (and only men) are using fountain pens writing cheques for a lunar golfing jaunt whilst driving their atomic flying cars across a consumerist utopia, then you’ll likely be feeling as “The Future” bears little ancestry with the present you live in. The use of this setting as satire, however, can be quite effective as a deliberate dissonance. Another example are technologies like the Internet or cellular communications. Although the seeds of both technologies are common, it’s rare that they’re presented as anywhere near as common or transformative as they have actually proved over the last 25+ years. The future rarely looks as futuristic as we imagine, as the continuing and unforgivable lack of flying cars makes plain. The idea that someone could be uncontactable or unfindable in the age of Twitter or mobile phones seems quite alien today, let alone in the mythical “20 minutes into the future“. One of the markers of the various ages of Fiction is how it treats the interconnectedness of the characters it writes about. If Pheidipiddes must run to Athens to announce victory in Marathon, this has consequences for the story. If Austen’s heroines wait months for letters to arrive from the Colonies, this has consequences for the story. If the antagonist in Around the World in 80 Days pursues Phileas Fogg with the a assistance of a telegraph service, this has consequences for the story. In any projection of future telecommunication (be it wristwatch videophones, skull-chip radio or outright telepathy) that’s going to have an impact on what your characters do and how they interact. Whilst there’s always going to be wriggle room in how your technology features (Gibson again: “The future’s already here, it’s just unevenly distributed.”), once you’ve established what the technological context of your setting is, you need to ensure you are at least consistent in its existence, even if not in application. It isn’t possible to escape this issue. You are who you are, living in the age that you’re living in. The best you can hope for is to get the technology and social organisation of your invented setting wrong in the most well-informed and internally consistent way at the point in time from which you write it. * – for a non-cheating version of this, I can highly recommend Charlie Stross “Neptune’s Brood” where he examines the economic and social implications of sub light-speed travel in a hard-science (yet far future) setting. It also has mer-people. No, really, go and read it. Recently finished Ann Leckie‘s celebrated Ancillary Justice. It’s well-crafted space opera with what feels like both a familiar and original setting. It’s well written to the extent that when you read the post-epilogue interview and see that she deliberately modelled it after the Roman Empire, you feel an ahhh of retrospective recognition without feeling as if the entire setting has been cribbed from Gibbon. It is only a semi-spoiler to reveal that the central protagonist isn’t entirely human (even if in human form, moving mostly in human circles), and Leckie takes care to show this, without defaulting to the standard trope of an innocent abroad, making mistakes and being corrected by more culturally knowledgeable characters. The exposition is both gradual and subtle, using the benefits of a twin narrative from two different time periods in order to maximise the urgency of the current narrative whilst allowing the past narrative to be more relaxed and casual in dropping and explaining the multilayered nature of the protagonist’s identity. The headline device used for this is the exclusive use of female pronouns, and the protagonist’s confusion over the need to make such a distinction. The use is at first amusing, and eventually disorienting. At the end of the novel, the gender of most of the characters remains ambiguous, taking away one of the chief identifiers of human identity which readers are used to. Along with a well-developed religious framework, Leckie manages to make her world both familiar on the micro level (a cultural obsession with tea being perhaps my favourite) whilst genuinely alien on another, in the sense that we as readers are unable to make sense of why things happen, and with enlightenment on cultural mores has to be inferred by context rather than explained. Another example of this is the Festival of Lies in Mieville’s Embassytown. The alien race that is the centre of the book are neurologically unable to lie, which provides a point not only of difference, but of novelty. For Hosts, speech was thought. It was as nonsensical to them that a speaker could say, could claim, something it knew to be untrue as, to me, that I could believe something I knew to be untrue. Without Language for things that didn’t exist, they could hardly think them; they were vaguer by far than dreams. What imaginaries any of them could conjure at all must be misty and trapped in their heads. Our Ambassadors, though, were human. They could lie as well in Language as in our own language, to Hosts’ unending delight. These eisteddfods of mendacity had not existed—how could they? —before we Terre came. The Festivals of Lies had occurred almost as long as Embassytown had existed: they were one of our first gifts to the Hosts. A positive point in this portrayal is that the Hosts differences aren’t presented as symbolic plot device or as a highly exaggerated part of the majority culture. In other words, it is not using the exotic just to highlight or counterpoint what is familiar to the reader. If the reader does not have a frame of reference in which to place a form of behaviour, they are unable to easily contextualise it, to work it into their existing understanding of the imagined world of the book. Whilst he is technically right, as a writer it is possible to convey the absence of comprehensible meaning, a dark chasm of unknowing which makes the reader frown in the awareness that there is something which does not fit into their paradigm of existence. Conveying the alien does not always require leaving the planet, of course. From Watership Down to Christ Stopped at Eboli, authors have mined both factual and imagined cultures in order to confront readers with a way of thinking that they do not understand. The trick, however, is to make a culture alien, but at the same time making it comprehensible as a unit. If there is no internal logic to an alien culture, (regardless of whether it is explicitly conveyed to a reader) then it becomes effectively random noise. The exception to this can be where a deliberately dissonant and comprehension-neutral deus ex machina is used in the plot, but as with any deus ex machina this can very easily feel like a cheat to the reader. In my own work, I’m trying very hard to impart this sense of the alien. The alien culture I’m writing has to have both different conceptions of the physical world as well as different conceptions about social relationships. All this coalesces in a wonderful anthropological term known as cosmology (defined as “ideas about the universe as an ordered system and the place of humans in the universe”). Once you work out the cosmology of your alien culture, you can then start to think about how that culture will react when faced with stimuli (as well as how that stimuli will be conceptualised and processed). In one example, one character relates to the protagonist a tale of about how a colonialist character entered the lodge of the native culture and immediately went over to warm himself by the fire. An absolutely natural thing to do (you might expect). The Lodge is however a very personal space rather than a public mess hall, and he has been invited there on sufferance rather than as an act of hospitality. The hearth is also an ancestral shrine and warmth is a precious semi-spiritual resource on this world. This is a near-unforgivable insult and act of aggression. It is pushing your way into your bedroom and rummaging through your drawers, trying on your clothes. It is presuming a casual acquaintance for an intimate relationship (I explain it here far more than I do in the book). So I need to be able to convey both the magnitude of the insult as well as the unreachability (for the reader/protagonist) as to why this is an issue, and how this unbridgeable mental gap is representative not of the savage unreason of the culture he has walked into, nor of his own insensitivity of nuance, but genuine ignorance. To make this behaviour alien, but not so much as to be totally incomprehensible. This is a line I have to walk for almost the entire book. To make the standard action-response curves of the reader’s expectation spiral off into the abyss, whilst letting them coil back into vision enough for the reader to maintain a sense of what’s going on. Using unreflective points of view from the native culture (i.e. not explaining the “why”) will be one device, as will the device of a scholarly dissertation on the culture in question (which I’m hoping won’t reach Stephenson levels of intrusion into the narrative). I’m also going to endeavour to present the what as well. I’m mainly trying to present this as representation by action – be it violent or kind – rather than by dialogue or out-of-character exposition. But the framework of why still needs to be mainly inferred. In this way, it becomes characters acting not because the plot requires that they do it (though that is always going to be at least a partial motivation), but because their identity, both personal and cultural, provides the roads on which they travel, be it running pell mell, walking slowly and deliberately or even leaving the beaten track and heading off into the wilderness. But if they do so, it will because the road on which they have been travelling is the place they decisively choose not to be. Even if the reader does not know the difference between wilderness and road, they can at least infer when someone is taking the less travelled path. Last night finished watching the final episode of Fortitude. The series is set in an Arctic Island and borrows a lot from long-form crime dramas like Broadchurch or The Killing (The Killing’s Sofie Gråbøl has a supporting role). There is a lot of noirish bleakness and some effective horror, as well as quirky characters that (if they weren’t so violent and tortured) wouldn’t be out of place in Northern Exposure with which it shares some genuinely spectacular scenery. The final episode, however, came as a tiny disappointment, despite a workmanlike tying up most of the loose plot ends whilst still leaving enough material for a second series (which has already been greenlit). The main disappointment I felt was the lack of a proper character arc for the series many and varied characters. This has also been something that’s been bothering me about my own second draft. A properly constructed character arc takes a character and changes it over the course of the narrative. This can happen either in parallel with the plot or with a separate structure all of its own. The most celebrated recent example in television has been Vince Gilligan’s Breaking Bad, where mild-mannered Walter White descends the stairway to moral hell, slowly at first, and eventually at a willing gallop. This has formed the mainstay of many other literary narratives as well, from Great Expectations to A Doll’s House to Oscar and Lucinda. This is not to say that every character needs to be profoundly transformed by the events of the narrative. It’s entirely possible for a character (even a protagonist) to sail through, unchanged, and to deliberately have absorbed all manner of narrative up and down without altering their being. But where there is a character arc, the key is that the character changes, and that this change is explained and staged. Change – The character starts in one state and ends the narrative in another, as a different person, who has been changed either for better or for worse by their experiences during the course of the book. This involved having both an initial and a changed model for the character and providing descriptive and experiential models for both. This can include behaviours, dialogue, internal voices, changes in physical appearance. Explained – the reader needs to have the sense of being an observer to this change, and to feel that they have experienced some of the interiority of that change, for the reader to be empowered with a sense of insight. If a reader does not see change occurring, then it can appear as inconsistent characterisation. This doesn’t imply neon signs, just clearly delineated difference between the old and the new. Staged – The development has to happen over the course of the story. A character switching personas in a single twirl of the pen without any buildup or follow through is as abrupt, unsatisfying and illogical as “with one bound he was free”. There’s a reason I used the word “arc”. The view on both the way up and the way down is why you buy the ticket and take the ride. A character arc can act both as a counterpoint to and a companion for the plot arc. In some cases plot and character arcs are symbolically linked, in others the threads are separate within the story. Done well, character arcs increase our sense of ownership of the characters, our empathy with their emotions (in both good and bad times) and concern for their welfare. In other words, a good character arc will bind your reader to your characters more firmly, so that they ride the rollercoaster of your plot together. The issue I’ve found with my draft in its current state is that few of the characters have an arc worth a damn. Most end the book having gone through its experiences without being changed by them. This is partially a legacy issue. The original crucible for the characters was in the form of short stories, almost like a TV anthology series, where each episode ended with the characters back in the position they were in at the start. (This does, of course, refer to TV before creators like Dennis Potter and shows like Babylon 5 came around to show that long-form storytelling was indeed something which TV could excel at). My novel was originally written in that vein, where despite the somewhat traumatic conga line of events to befall the protagonist, he would basically pop up at the end ready to resume his adventures, informed but not transformed by his experiences. The second draft has somewhat disabused me of the idea that I can get away with static characters. Two or three of the major characters to appear in the novel will have lives beyond it (which was not originally the plan) and I need to therefore ensure that these characters have the depth and reader engagement to hold interest over the marathon, not just the 1500 metres. So for this, I need to craft multiple character arcs. Fortunately, intuitive arcs are apparent for most, and as per the description above, the “First Iteration” for each character’s personality and outlook is already in existence, and not too much work really needs to be done. However, it’s another task, another layer of complexity, and another economy I need to work into a limited word count and even more limited time to work on it. I’m becoming painfully aware that completing the first draft was actually the easy, rewarding and fun part. Am currrently missing this stage of blissful innocence and simplicity. Coda: Recently, I sent in a letter to a writer’s agony column in the Australian Magazine Overland which its Agony Authoress Jennifer Mills kindly replied to. Although I’m struggling with the shame of a typo in my letter, her response is (if not inspiring) then at least spine-stiffening and can be read here. Recently, I’ve been reading Octavia Butler‘s Patternist series. It is a sprawling, multi-epoch work exploring the idea of breeding a super-race with psychic powers. Along the way it takes some fascinating detours into race and oppression. One of the concepts is that there is nothing accidental about the composition of the super-race, which has been constructed over hundreds of generations by selective breeding, and in-breeding. This has led me to consider the obviously related genre of comic book superheroes. Superhero origins fall into 3 distinct camps. 1. “Born with it” (Superman, Mutants). These are people who have been essentially assigned their power at birth, whether or not it manifests itself (adolescence is often the preferred point of emergence). 2. “Accidental” (Green Lantern, Spiderman). These are people who were (up to one point) ordinary, then a single catalyst provides them with powers or abilities that they neither sought nor asked for. 3. “Self made” (Batman, Iron Man). These are individuals who have amassed the resources to give themselves the power to be more than an “ordinary” person. Now these are broad categories, and there will obviously be some bleed in between them, but they’re useful units for analysis, as quite distinct moral considerations and sociological models come embedded into each category. Type 1 Superheroes (Born with Its) have no choice in becoming “what” they are, and their differences from ordinary mortals are unavoidable. Their social interactions are circumscribed by their very bones, often along with how their group identities are constructed by the public. Type 2 Superheroes (Accidentals) are aware of their changed status, but usually have a “secret identity” where they can operate normally and CHOOSE to engage as superheroes. They may hear the call, but it is their choice as to whether they respond to it. Type 3 Superheroes (Self Mades) usually have constructed their personas with the express purpose of exercising power in the world… compelled to act. In other words, heroism is a deliberate, conscious act. If you stop thinking of superheroes and villains as individuals and start thinking of them as a stratified class, it starts becoming extremely interesting. Comic books themselves have done this a lot over the years. X-Men started as a civil rights analogy, and it’s fair to say that particular sub-franchise runs on this conceptualisation of hero identity. Similarly, Marvel’s Civil War storyline is based on constructing and legislating a singular identity of superheroes (essentially flattening out the schema I laid out above). This isn’t to deny the individuality or subgroup identities of the superhero genre. You use intersectionality (as pretty much all comic book writers have since comics began) to analyse differences and to comment (both subtly and in a heavy-handed manner) on real world dynamics of race, class, gender and sexual identity. Different dynamics to social interaction with the general public also apply, especially when you try to untangle “others” who have obvious markers of difference (either costume or physical appearance) vs those who are “just like us”. The social acceptability of this different status is contextual. As an example, the appearance of Superman is greeted extremely differently by members of the public than the appearance of the Hulk might. This becomes especially fascinating when the existence of a secret identity gives a character the freedom to be heroic or villainous without it impacting their everyday life. (As a possibly interesting side note, villains are generally still villains when they’re hiding in their volcano lair or warehouse hideout, wheras Spider Man is Peter Parker when he’s relaxing in his totally ordinary apartment). Heroic and Villainous mantles can also be handed down, Dread Pirate Roberts style. The mantle is an identity – is a role – is a duty. This is generally a feature of type 2 and 3 in the schema I described earlier, especially when heroism is conferred by a costume or item tied to a particular moral code or role, such as Green Lantern’s Ring or Thor‘s Hammer. Type 2 heroes often have powers and identities conferred by an authority figure (be they Gods, Wise Old Wizards or Alien Warriors) onto an otherwise unmotivated individual. In these case they’re less individuals with agency than unwilling servants to imposed ethics they wouldn’t otherwise follow. They “heard the call”, took the King’s Shilling (Wizard’s Staff, High-Tech Suit Of Otherworldly Technology, etc) and now have to use this to implement (and often internalise) someone else’s moral code. On the other hand, Type 1 individuals share with Type 3 individuals a sense of agency in following their own moral code, which they have developed over their lives, shaped by their OWN experiences and societal attitudes. Where they differ is the Type 3s have agency in their identity as well, wheras Type 1s can’t cast their difference aside, only pretend to. This pretence is often thwarted in any case, by societal attitudes and prejudices. Their identity is at least partly ascribed rather than assumed. Batman can always be just Bruce Wayne if the desire took him. Ororo Munroe doesn’t have that option, even if she chooses not to call herself Storm. The identities of Type 1 heroes are generally organic, growing out of their positions in society and history. For want of a better term, they are presented as emerging from the tapestry of society rather than being apart from it. They are born from the existing world, and bear all of its markings and striations. In contrast, Freudian explanations are used extensively for the actions superheroes of Type 3 (and Type 2). It provides a personal narrative which obscures wider perspectives. The Phantom swore on the skull of his father to fight evil, the death of Uncle Ben pushed Spiderman to understand that “With Great Power Comes Great Responsibility”. On the villainous side Doctor Doom’s minor, but psychologically immense scarring provides a symbolically clean division between the villainous and the merely arrogant. This is categorically not to say that catalystic events like this don’t happen in the real world, just that they were a common trope that was employed to drive characters to step outside the bonds of socially normative behaviour. I am very much aware I’m just covering ground already covered by decades of scholarly research, but superheroes remain a fascinating intellectual rabbit hole to explore if you can ignore the narrowly literary sneers of its critics. The long break is over…ish. And it’s thus entirely appropriate that this newest post covers a matter that weighs heavily on my mind. Pacing. Recently finished (quickly) Throne of the Crescent Moon by Saladin Ahmed. It’s an engaging read, not only because it eschews the Eurocentric medievalism of a lot of Fantasy Works and instead establishes itself firmly in a setting inspired by Arabic culture. The worldbuilding shines, with Ahmed having plainly researched heavily to provide all sorts of tiny pieces of taste, flavour, texture and sound to enrich his story’s setting. This is married to some interesting characters, witty dialogue and some wonderfully horrible monsters. The result is immersion that doesn’t dissipate through the entire course of the narrative, which is a great achievement in itself. The plot is relatively straightforward, even traditional, but is told with craft, skill, humour and care. The heroism feels genuine, even when the heroes are deeply flawed human beings, with irascibility, impatience and regret. But the thing that really jumped out at me for this novel was the perfect speed at which the story unfurled. Each scene moves the story forward briskly, without dragging the reader to the point of stumbling, logically moving on to the next scene, the next scene and the next scene. The narrative slows down for occasional contemplation, but never to the point of either indecision or navel gazing. Even when characters are contemplating their own mortality, the continuation of their line or the regrets that old age confers on missed opportunities, it is always in the context of doing something. This makes the characters active participants in their world, and ensures that the flow of the narrative does not stutter as they either stare around wondering what to do next or have an unlikely deus ex machina descend to provide the next prod forward. This was a criticism not of the beverage but that I was overusing the cup of tea as a mechanism to place two characters in a static, social place and make them discuss what the plot demanded they talk about. In other words, I was stopping the characters doing anything else so I could get them to spout some dialogue and emote. If the plot requires a cup of tea or a drink, that’s a different matter. (Mike Leigh’s Secrets and Lies, for example has one very long cup of tea upon which the entire plot of the film hinges). In Ahmed’s book, there are only a couple of cups of (cardamom) tea, and both serve the plot rather than act as wall-hooks to hold plot-shaped things. Each scene in the book serves the purpose of driving the reader’s understanding of what is happening, what has happened and what is likely to happen often along multiple plot axes. The other two books that I hold up as the shining stars of pacing are Brian Moore’s The Statement and <sigh> Dan Brown’s The Da Vinci Code. No, come back… I’m serious. Both books race along, both driven by “chases” of one manner or another. Even if they’re delving into crackpot theories about the basis of Christianity (oops, spoiler) or the long flight from justice of a Vichy war criminal, both are doing so whilst constantly their characters on the move, trying to do things, to achieve objectives, to survive.This provides each with a predictable drive as well as an unpredictable rhythm (as individual obstacles, threats are a jolt to the character’s attempt to keep moving). Ahmed’s book lacks this central driving mechanic, and a time-sensitive prod to character action doesn’t appear until well into the book, by which time the characters are already invested heavily in the plot. This makes the pacing even more of an achievement. All three books (Moore’s, Brown’s and Ahmed’s) utilise overlapping multiple character perspectives in order to ensure consistent momentum. Interleaving character perspectives is an excellent tool to maintain the pace of a book. Like a receiving relay runner, the passing of the baton of reader attention is accompanied by a burst of speed onwards. As I mentioned earlier, this was one of the points in favour of the otherwise-flawed Glass Books of the Dream Eaters, in that it was a far shorter book than its length would indicate, as you weren’t forced to shift pacing gears in between chapters. This is explicitly not to place a book’s characters in a position of power within the novel, allowing the plot to unroll as their will dictates. With the possible exception of villain protagonists, I find stories where the protagonist is in control of events unutterably dull. If there is no challenge to a character, either physically, socially or psychologically, then it can be a trial to really give a damn about what happens to them. Throne of the Crescent Moon enjoyably avoids this, placing its characters in peril enough to be engaging whilst not constantly throwing lethal threats at them. However, the constant issuing of challenges to the characters, and in making his characters actively and purposely respond to them provides an evenness to the flow of the novel which I can only hope to emulate.